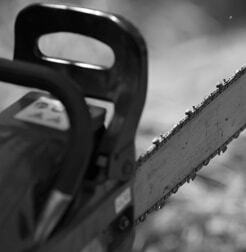 Our services include tree surgery, tree felling & stump removal grinding service. We specialise in all aspects of tree surgery and tree removal. Branching Out provide our 24 Hour Emergency Call Out Service for all storm damage related Tree Repairs, click on the banner to find out more about our emergency tree services or call us for urgent response on (087) 251 3051 or email us on info@botc.ie. Branching Out Tree Care are an Irish based professional Arboricultural company and we specialise in all aspects of Tree Care & Removal work. We offer a nationwide service including Dublin, Kildare, Meath, West Meath and Louth. We are professional qualified & all staff members are Lantra awards and NPTC qualified. We are experts in our field with over 20 years experience providing Expert Tree Services throughout Ireland. Our Arborist services include tree surgery, tree felling & removal, stump removal & stump grinding service, tree pruning, tree planting, tree mulching, site clearance services, wood chipping service, tree surveys & assessments & 24-hour emergency call out tree service. We provide our tree services to both residential and commercial customers throughout Ireland; we are specialists in our field and all work we complete to the highest professional arboricultural standards. Contact us today to arrange a tree survey or consultation, or for further information on any of our tree services. See our full list of services below with links to the individual sections with further information. We specialise in all aspects of tree surgery, tree reducing & tree removal. At Branching our tree care provide a fully insured and professional tree surgery services to residential & commercial clients nationwide. We specialise in removing large trees situated beside buildings and small urban gardens. 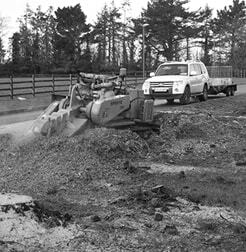 We are also site clearance specialists for the construction industry and property developers. We offer tree felling services around Dublin and nationwide. Our specialist equipment and expertise enable us to remove trees in challenging work sites. 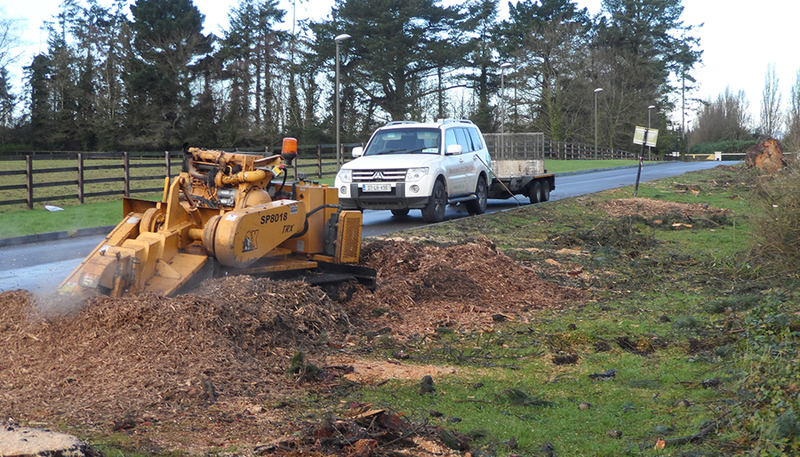 Once the job is completed all unwanted wood, branches and tree waste are removed from the site. 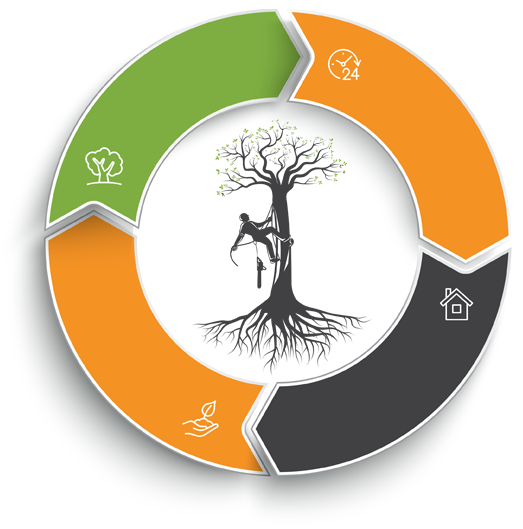 We can turn your tree waste into valuable nutrients through mulching. Mulching helps to replenish your garden’s soil. Our specialist equipment can also take the cuttings from trees and hedges and turn them into mulch. 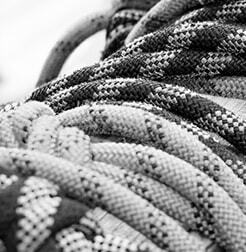 Our fully trained and qualified staff provide all aspects of commercial & domestic tree surveys, using the latest techniques & equipment to carry out high-quality tree work for clients. 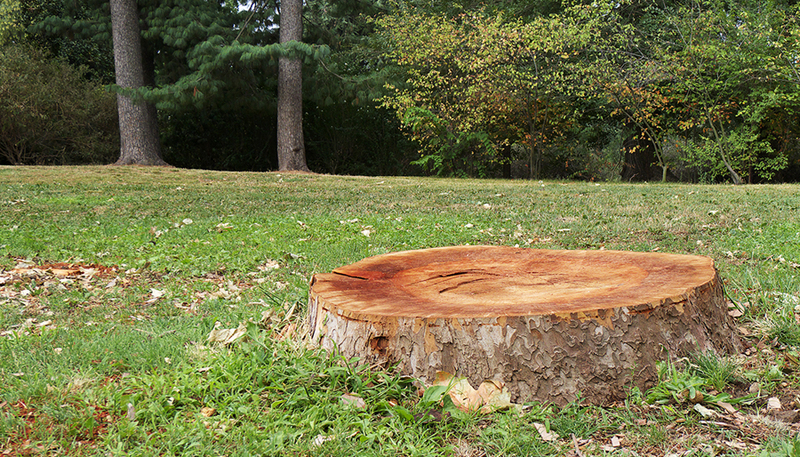 At Branching Out Tree Care we offer a stump grinding service for the safe & effective removal of stumps. We use specialised equipment that safely removes a tree stump ensuring the tree stump area is left clean, tidy and most importantly, reusable. 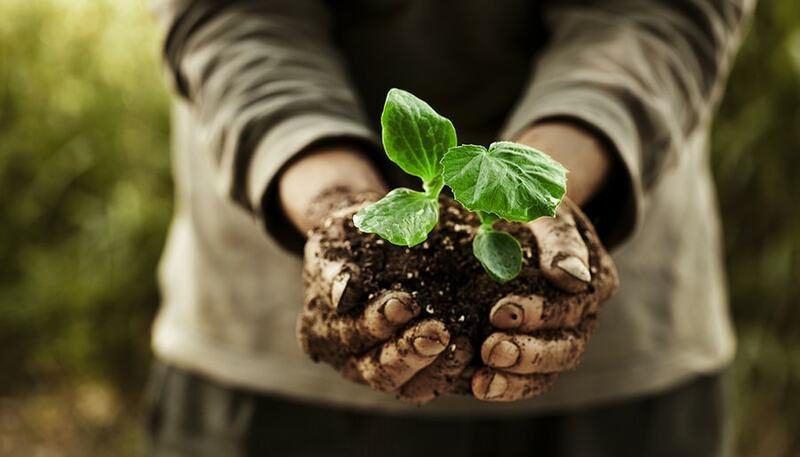 We also offer a plant planting service. 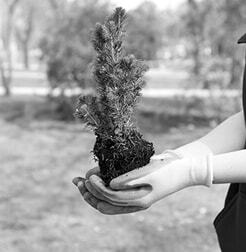 We can advise on the most suitable type of tree to plant for the site and soil. Contact us for more information. At Branching Out Tree Care, we provide professional site clearance services for the construction industry and property developers. Our stump grinding machinery makes the removal of any dangerous stumps safely without causing any damage to the surrounding landscape. Branching Out Tree Care offers a 24-hour emergency tree removal service. We have a fleet of specialised vehicles and state-of-the-art equipment operated by highly skilled staff that can handle your tree removal emergency. If you have problems caused by storm damage that require immediate assistance our emergency team are here to help. In the event of any emergency, our tree service experts are ready to help you. For all the latest news on our tree care & tree removal services including helpful advice & tree care tips.